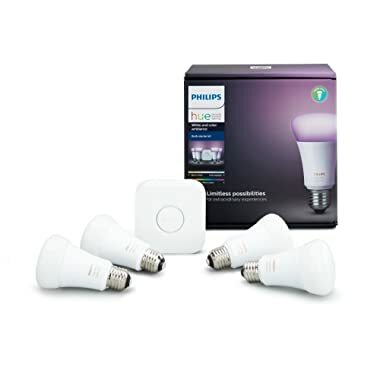 • VOICE ACTIVATED: The Philips Hue White and Color Starter Kit works with Alexa for voice control (smart hub required and included, Alexa device sold separately). 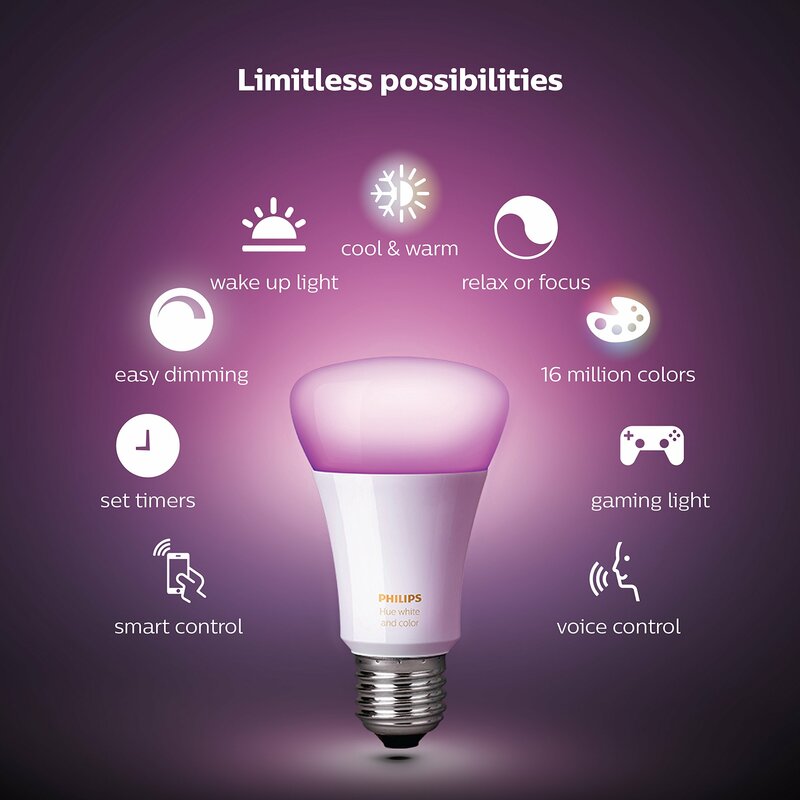 • LIMITLESS POSSIBILITIES: Choose from 16 million colors and shades of white to turn your everyday smart lighting into an extraordinary experience. 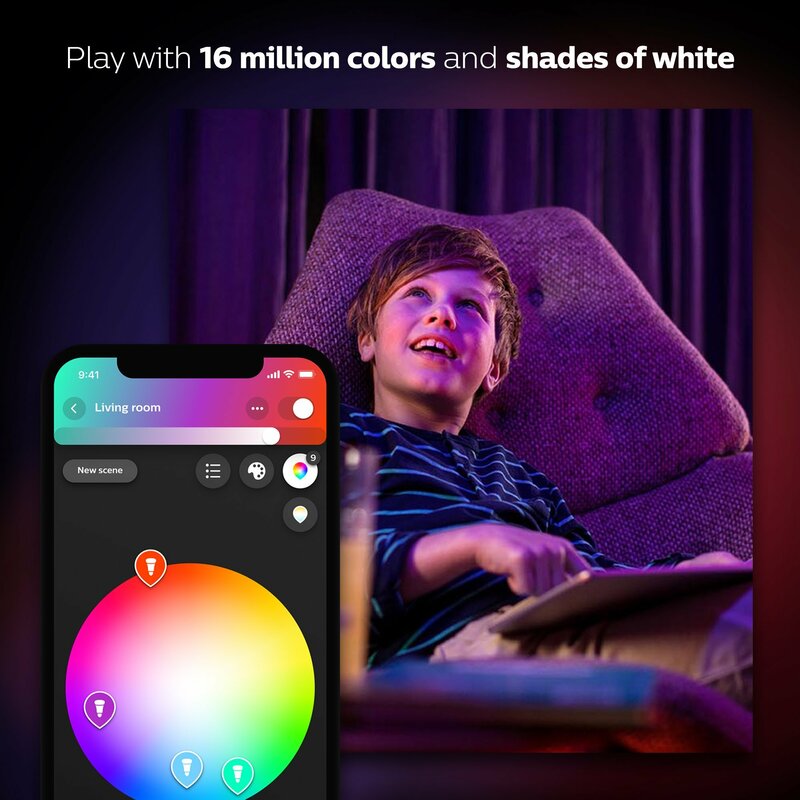 Hue color lights are controlled remotely with your smartphone or tablet, create custom scenes and unleash your creativity. 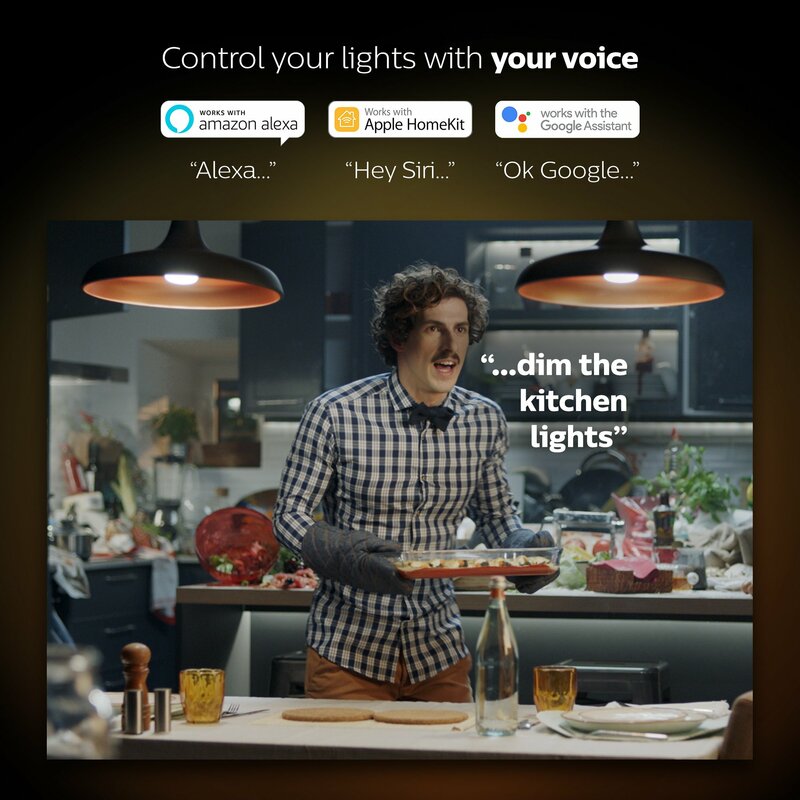 • TAKE CONTROL: Voice control for your smart home: Control your Philips Hue lights with your voice using Alexa, Apple HomeKit, or Google Assistant. Pair it for home automation with your existing Nest or Samsung SmartThings system. • LASTS A LIFETIME: 25000 hours of life. 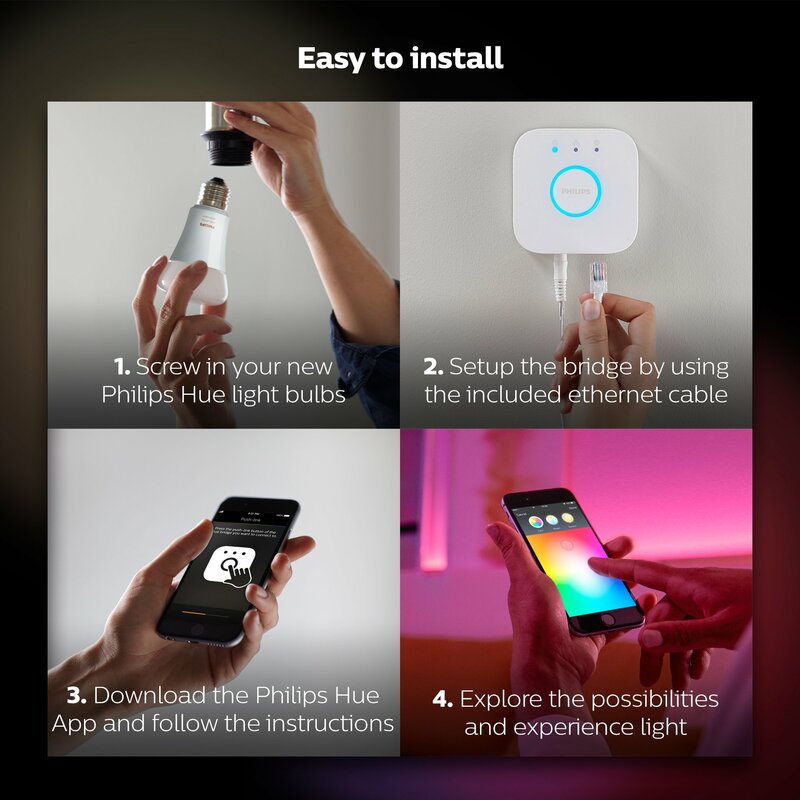 To install, simply screw in the smart bulbs into your desired light location, download the Hue mobile app and pair your Hue hub. 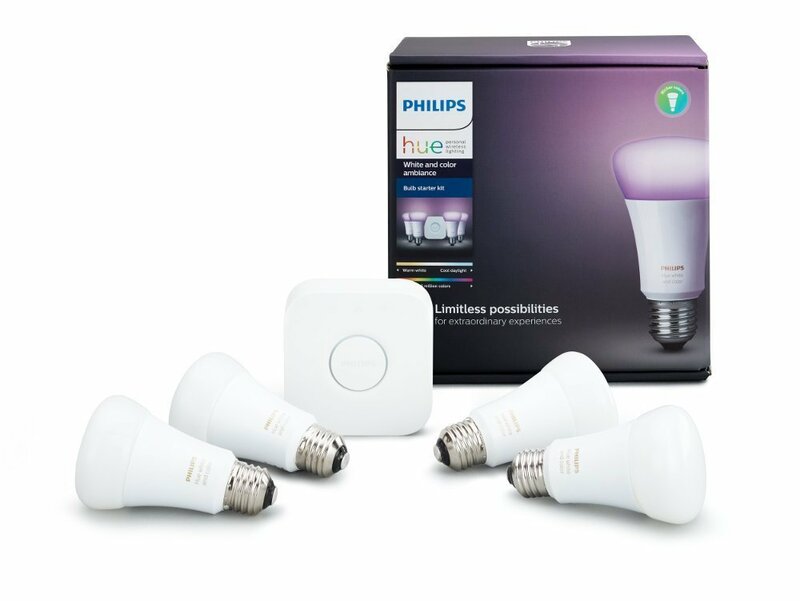 Control smart-bulb-equipped lamps and overhead hue lights via the Philips Hue App. 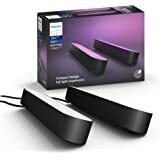 Ideal for your favorite ceiling fan lights, floor lamps, table lamps, pendant lights, and more throughout your smart home. 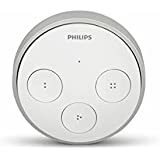 • EXPAND YOUR SMART HOME: Easily expand your smart lighting system with accessories (sold separately), such as a Hue Dimmer Switch, Hue Tap, or Hue Motion Sensor. 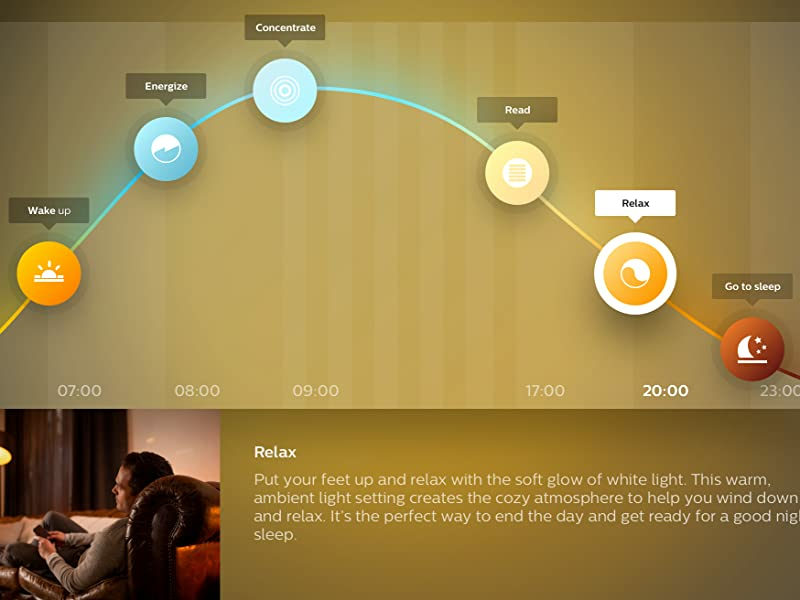 With our state-of-the-art picture-to-light algorithm, easily transform your favorite picture into a personal Philips Hue scene. 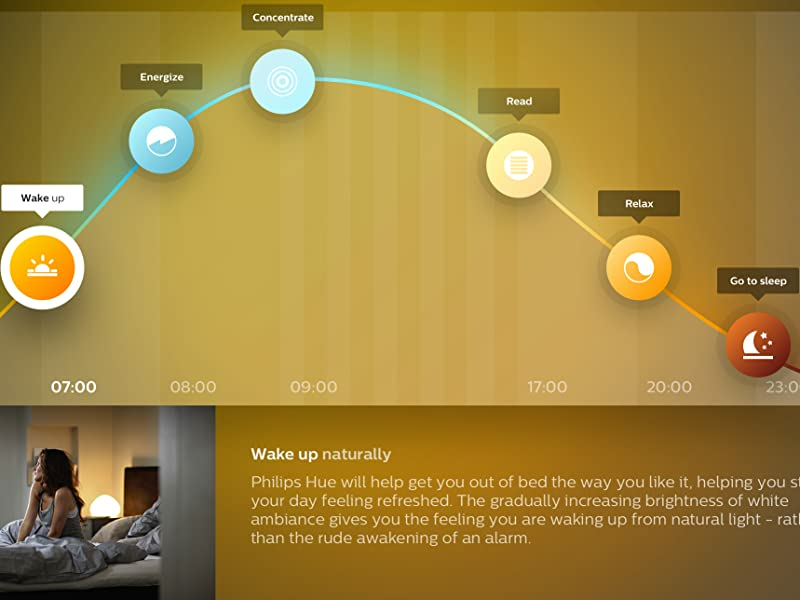 The algorithm extracts the relevant colors and intelligently applies them to your lights. 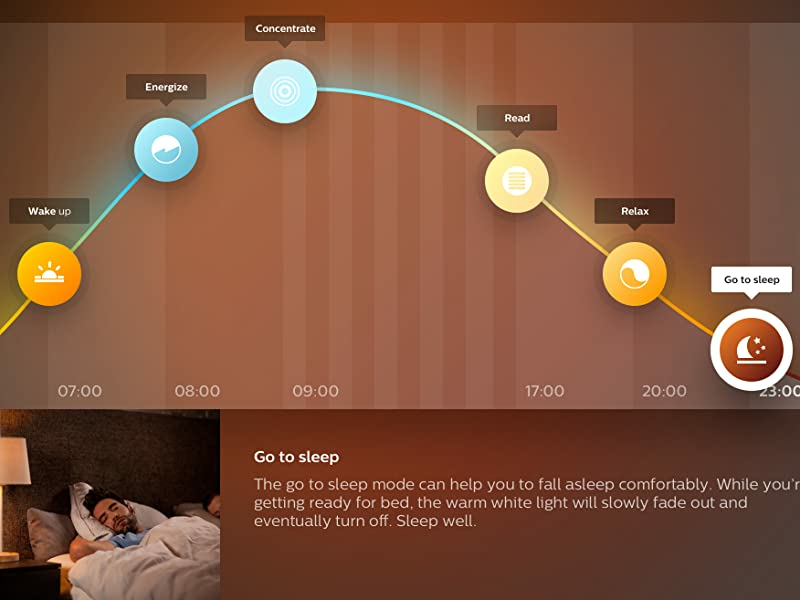 Now you can use your smart Hue lights to relive your memories. 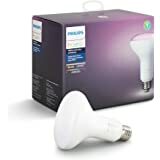 Do I need a Hue Hub to control my lights with an Echo? With the regular Echo it is necessary to have a Hue Hub in order to control your Hue lights. 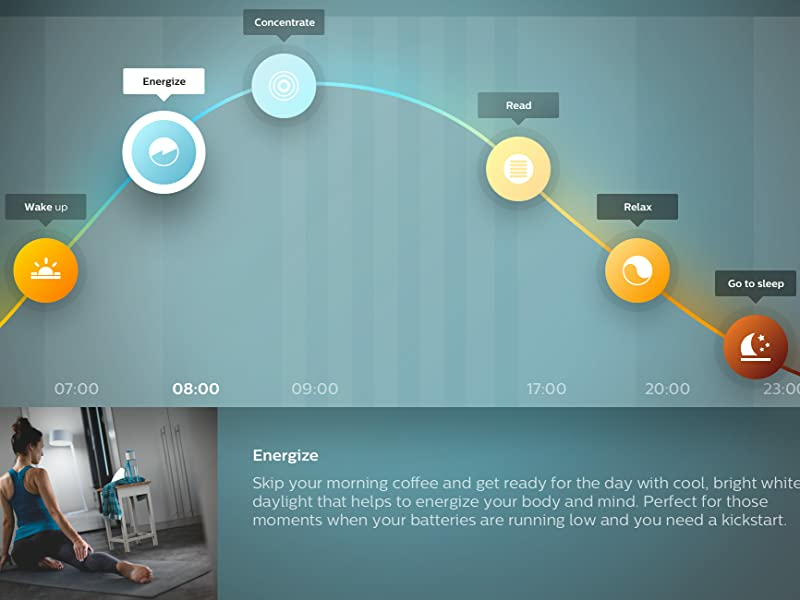 If you have an EchoPlus device, you will only have access to basic features - on / off / dim /using pre-set scenes. 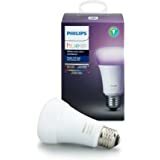 Can I control Hue lights without a Hue Hub? 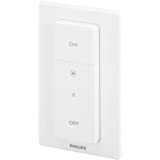 Yes, you can either add Hue White bulbs to a dimmer switch (up to 10) or go for a Hue luminaire that is pre-paired with a Hue dimmer. However, this does not work with Hue color lights. 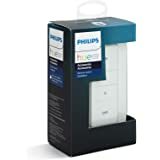 Does the Hue Hub need to be plugged into a router or can it be used with a Wi-Fi connection only? Yes, for the Hue Hub to work, it necessary for it to be hard-wired into your primary router using the included Ethernet cable. Do I need internet to control the Hue system? No. You can hard-wire your Hue Hub into a router without internet. 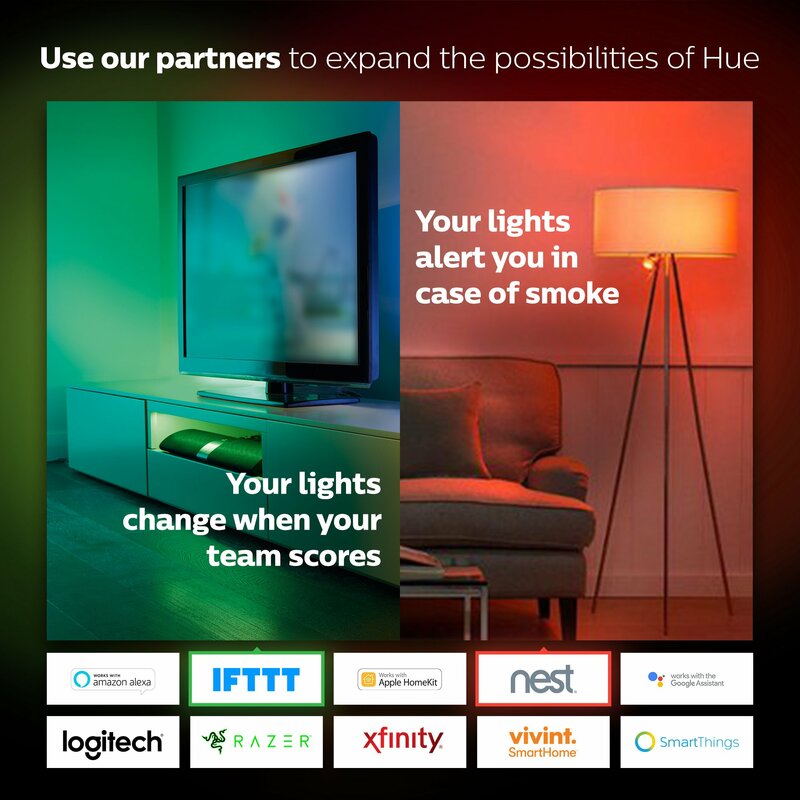 However, this means that you will only have access to your Hue system while at home, not remotely. An internet connection is needed to control your lights remotely. Can I use my Hue lights outside or in the bathroom? 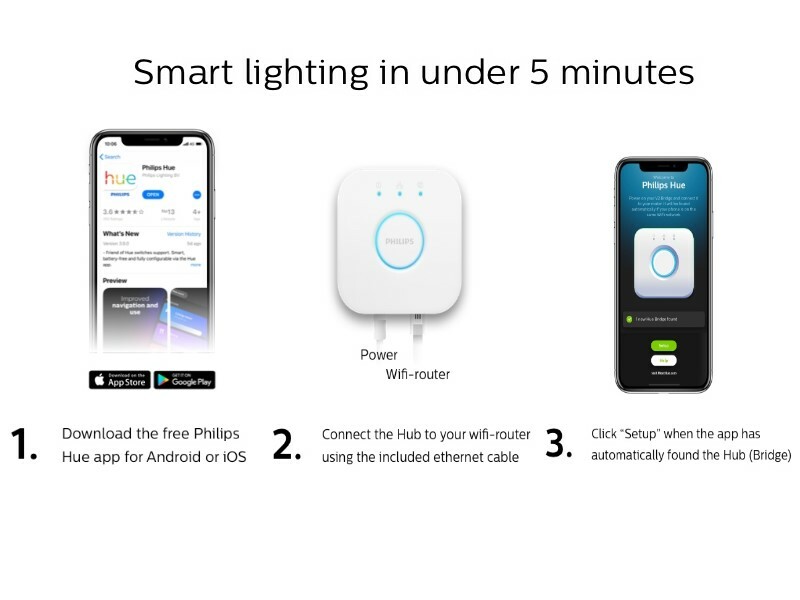 We recommend only using Hue Outdoor Smart lights outside and special bathroom luminaires in the bathroom as these are tested for those environments.